BT‘s comedy career started in Kansas City at Stanford and Sons While attending Junior College AKA 13th grade, in Oklahoma. After graduating from The University of Oklahoma with a Bachelor’s degree and mountain of debt, BT was free to chase down his dream of becoming a Full Time Comedian. As the years have passed,BT has performed in 49 States,made numerous television appearances that led to being a series regular on The Sci-Fi Channel’s “Black Scorpion” and a major role in the HBO movie “Suckers”. 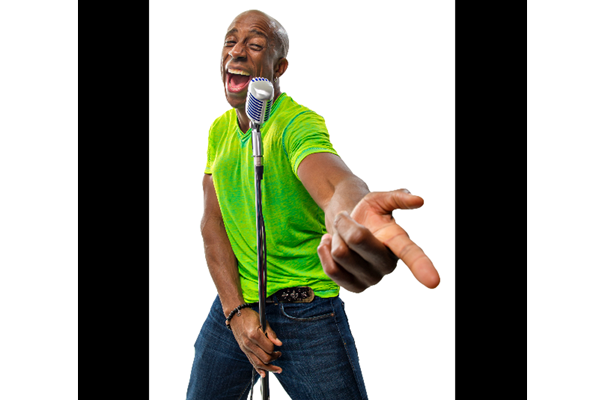 BT continues to perform at a high level and frequently tours the country on “The All Laughs Matter Comedy Tour” as a member of The Black Pack featuring comedians Billy D Washighton and Vince Morris. BT continues to be a force in entertainment whether it be Stand up or acting. Catch this diverse performer in action and I’m sure you’ll agree his star still shines bright. Tickets For 7:15 Show are $15 in advance, $20 at the door! Tickets For 9:45 Show are $20 in advance, $25 at the door! Doors open 30 minutes prior to showtime. We are 21 and up club.